We are a brand new sports team for 2018, and train weekly on Wednesday afternoon (beginners) and Friday evenings (advanced and inters) at Brookhouse Farm Riding School in Solihull. We cater to all levels of riding ability, with our members ranging from having never even sat on a horse before, to the seasoned competitor. 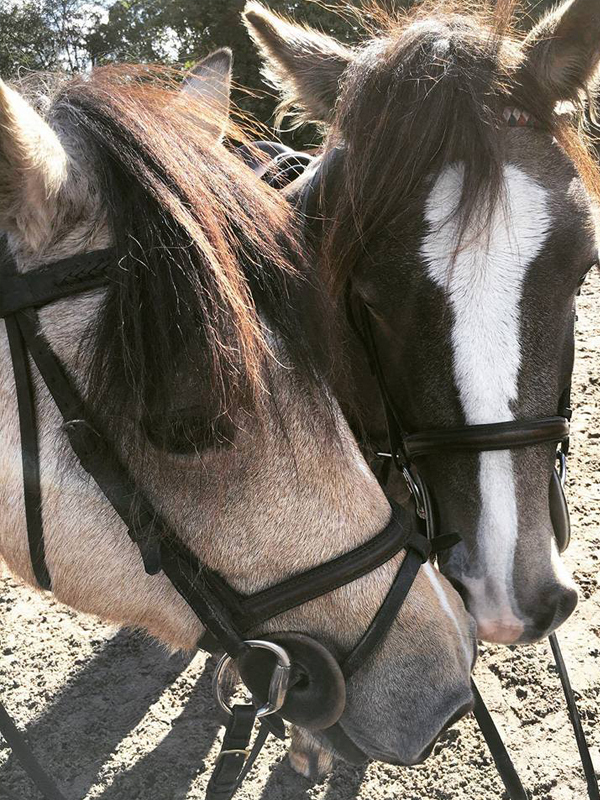 Brookhouse offer a range of tuition based on ability and a range of horses to truly help you learn to ride, or brush up on your riding skills. There is also chance to go hacking, do clinics, attend competitions and generally just have fun whilst being around horses and away from the city! Lessons are weekly: Beginners ride on Wednesdays 3-4pm and Intermediates ride on Fridays at 4-5pm whilst Advanced riders ride on Friday 5-6pm. Lessons last one hour and cost only £20. Members are placed into ability groups consisting of: Beginner, Advanced and Intermediate. Corinne, our instructor, will place you in the best suited group! Lessons can be signed up for via our private Facebook group so please join by clicking here. Lessons are posted in our private group and are a maximum of 8 people per lesson, with the added bonus of Brookhouse being extremely easy to get too as well. We offer lifts or there is Whitlock's End Train Station just a 10 minute walk from the stables! Membership costs £40 per year with a non-bucs sports card, you will need the sports card in order to purchase our membership. If you already have the sports card, then membership is only £10 per year plus lesson fees. We offer one taster session without membership (but you will have to pay the lesson cost), after this, we require all members to pay the membership if they wish to continue riding. This includes membership to everything the club entails, such as hacks, socials, meals and days out etc! Please contact us using the links above if you would like more information and we look forward to seeing you soon!